Palm Sunday starts off Holy Week, setting the tone for the greatest time of the Christian year: the death and resurrection of Our Lord, Jesus Christ. 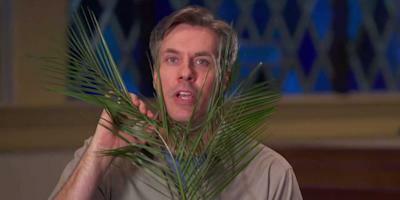 Learn more about Palm Sunday in this video. Chuck Knows Church: The Original Series aims to interpret the objects, symbols, and terms we often hear in church. Each video features “Chuck” who helps us learn more about our church while inviting us to have deeper conversation with our pastor.